You meet an interesting person at a club. Suddenly, they start acting as if they're a character in a novel you've read, and they are firmly convinced that they ARE that character. First, which character is it, and second, how do you react? Face down on the hotel linen, the body. I try to sit up, but I can't move my arm or my leg, even my head is pinned. For the first ten years of her life, Jana was a simple Czech girl, a watercolour. 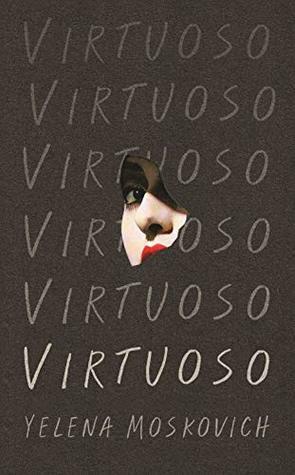 Her days were a clock run by the Czechoslovakian State Security, snapping hidden photos in their plainclothes. Much fervent artwork was created: Man Subverting Republic (Black and White), Woman Distributing (Tryptic). Man and Woman Organizing (Reprint). Jana was a watercolour, until the raven-haired girl Zorka came. Jana, now an interpreter in Paris, hasn't seen Zorka in a decade. Aimée is in Paris too, happily married and trying to get into her hotel room. On the other side of the door is her wife Dominique, face down on the hotel linen, one hand drooping off the side of the bed, fingers curled in, wedding ring white gold like an eye frozen mid-wink. A body now, no longer a person. 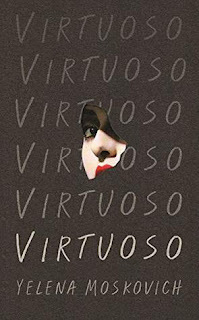 Written with the dramatic tension of a Euripides tragedy, the dreamlike quality of a David Lynch film and the imagination of a unique talent, Yelena Moskovich's Virtuoso is an audacious, mesmerising novel of love, desire, identity and belonging. Your book is creeptastic!! I added you to the Linky. Happy Thanksgiving! Thanks, Freda. Enjoy your weekend. Wow, this sounds like an intense story. Enjoy your current read, and have a great weekend! It is rather! Thanks for stopping by. Oh I love both of these sentences! Sounds like an entertaining read. I'd love this I'm sure. Here is my Friday post. Have a lovely weekend. May your books be with you! This does sounds interesting. I'm not sure I care for the dream-like style though. This week I am featuring Serpentine by Laurell K. Hamilton - the latest in a long-running urban fantasy series. Happy reading! Thanks for stopping by, Kathy. Loki sounds VERY appealing, from what I read on Goodreads. I wouldn't mind running into him at a club! Of course, if the guy thought he was REALLY Loki, then I would definitely run for the hills!! Lol. Thanks Maria. If you end up reading it, I do hope you'll enjoy it. 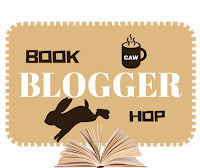 I LOVE your blog hop answers. I've never read the books but it sounds like Loki is hot stuff! Have a great rest of your weekend. Here's my Hop.